When I came across this recipe in Cooking with Paula Deen, I realized that it had been far too long since I put my mini cheesecake pan to use. I’ve been anxiously awaiting the holiday season so I could justify making these little treats. Hazelnuts have become my friend. 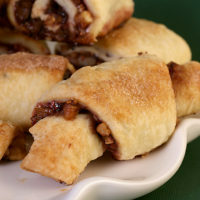 Granted, pecans will always be my first love, but there’s just something about hazelnuts that greatly appeals to me. Throw in some chocolate, and I’m a goner for sure. Plus cream cheese, too? Are you kidding me? 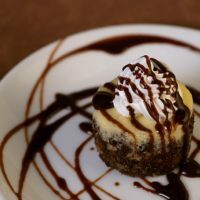 For those of you without the mini cheesecake pan, let me tell you a bit about it. It looks much like a muffin pan with super-straight sides. However, the bottoms of each cup are removable. So, when it’s time to take your cheesecakes out of the pan, you can just push up on them from the bottom and release them quite easily. 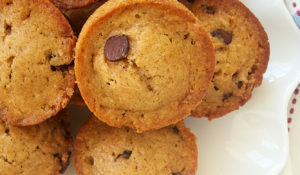 I’m sure these could be made in a muffin pan, but I think that the cups would need to be lined. They would still be delicious, if just a little lacking in the presentation department. 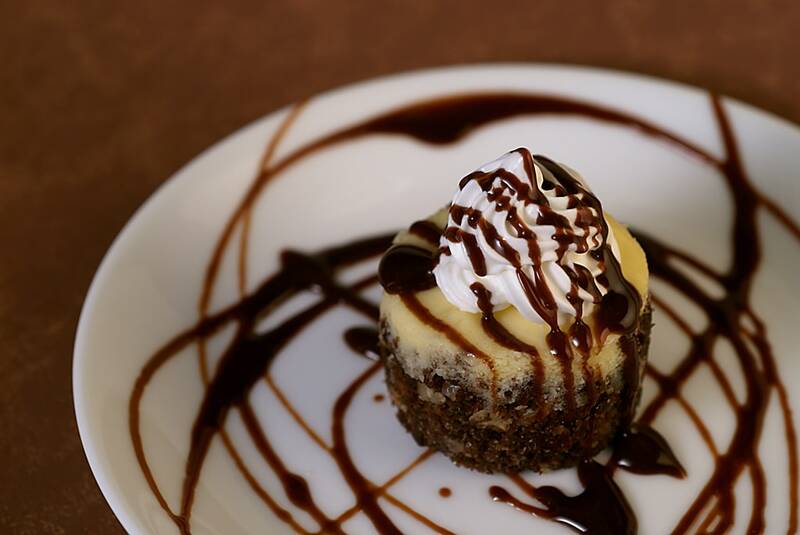 One of the best things about these little cheesecakes is their simplicity. Preparation time is very quick. The only thing remotely time-consuming is pressing the crust into the pan. 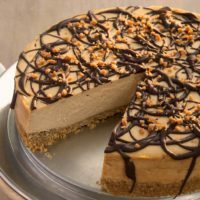 If you can accept that, then you can have these incredibly delicious cheesecakes whipped up in no time. 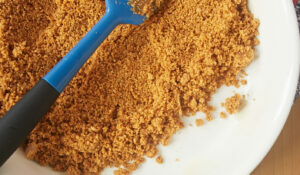 Combine cracker crumbs, hazelnuts, and sugar. Stir in melted butter. Press mixture into the bottoms and sides of 18 cups of 2 mini-cheesecake pans*. Bake for 5 minutes. Beat cream cheese with an electric mixer until creamy. Add sugar and beat until fluffy. Add flour, egg, and egg yolk, mixing until combined. Stir in liqueur. Spoon batter into prepared crusts. Bake 18 to 20 minutes or until set. Cool in pans completely. Then, remove from pans and chill at least 4 hours before serving. Garnish, if desired, with whipped cream, grated chocolates, hazelnuts, etc. *I used one mini cheesecake pan to make 12 cheesecakes. In addition, I made one 4-inch cheesecake. Baking time was 35 to 40 minutes. May be frozen, wrapped in plastic wrap, for up to 1 month. Thaw in refrigerator before serving. Recipe adapted from Cooking with Paula Deen. OOOH! 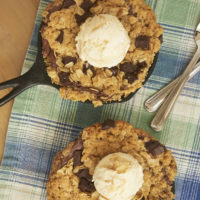 I do believe my wife would fall in love with me all over again if I made these! 🙂 They look beautiful good job! Something decadent about having your own mini dessert on a plate. I love the sound of this. YummY! They look incredible, Jen – what a great idea for the next time I have people over! I am supposed to be doing my resume,and then I take a brak and come here…and now I forgot what previous jobs I’ve had because my current one is drooling over that cheesecake and the future one will be to make me some,albeit with pecans but that’s just because our tree was generous this year. I love hazelnuts,they are so fragrant. My favorites. Gorgeous cheesecake! Thanks, Jade! Hopefully Santa will come through for you. Well, Lewis, sounds like you’d better make them! Thanks! Kristen, I hope you get your cheesecake pan. If not, maybe you can get yourself a present! Meeta, I also love mini desserts. Although, it does make it a bit embarrassing to ask for seconds. 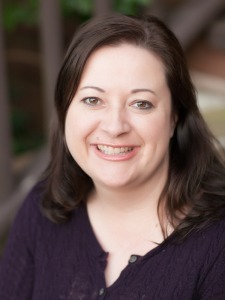 Patricia, I think they’re just perfect for having people over. They’re easy and they look impressive! Tiffany, hopefully you’ll get your pan. Let me know what you think of the recipe! Sorry to interrupt your resume writing, Tartelette. I am so jealous of your pecan tree. As many as I go through, you’d think I’d just plant one myself. An excellent point, JEP. Of course, eating just one of these leaves plenty of room to sample some other dessert! 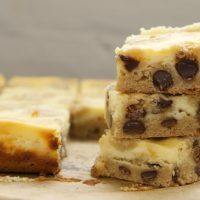 I came across this site about a week ago, i love cheesecake and when i saw these i thougt oh my god these look gorgeous so i am going to make all of them and put them in the freezer i have a mini cheesecake pan never use it now i have the chance. can they freeze??. 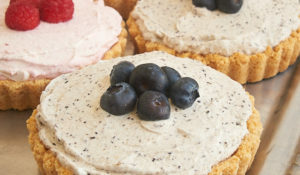 Veronica, most cheesecakes can easily be frozen for about a month. I think this one would do just fine. 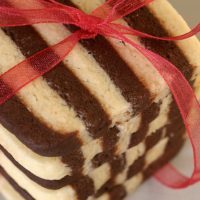 MUCH EASIER CRUST: Use one side of an Oreo-type cookie – chocolate or vanilla (minus the creme filling) for a crust. Fits perfectly in the pan and is beautiful when it comes out! Nothing up the sides but trust me you won’t miss it. This may have been posted on here; just don’t have time to read them all to see and too good not to share. 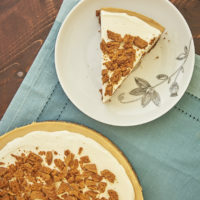 i couldn’t find the recipe for these cheesecakes on Paula Deen’s website, could you post a link? thanks a lot! can’t wait to make them. Mariya, there’s a link to the recipe just above the first picture. Enjoy!